Today’s society is governed by an addiction to offense, an ease in criticizing others, and a tendency to dismiss other’s opinions or feelings in favor of our personal point of view. Even writing this last sentence filled me with visions of how many people will read it and take exception with one or more parts of it, feeling I was not completely accurate or that I left something out or included something that shouldn’t have been there. I would like to talk about the antidote to such behaviors and attitudes – tenderness. The languages we all speak are living things. They change over time, both the pronunciation and definition of words, among other things. The first definition of tenderness printed below is from the Webster’s 1828 dictionary. This is the way this word was being used during Joseph Smith’s lifetime. Read through the definition and try to connect to each definition, since every definition is a different way of using the same word. TEN’DERNESS, noun The state of being tender or easily broken, bruised or injured; softness; brittleness; as the tenderness of a thread; the tenderness of flesh. 1. The state of being easily hurt; soreness; as the tenderness of flesh when bruised or inflamed. 2. Susceptibility of the softer passions; sensibility. Well we know your tenderness of heart. 3. Kind attention; anxiety for the good of another, or to save him from pain. 4. Scrupulousness; caution; extreme care or concern not to give or to commit offense; as tenderness of conscience. 5. Cautious care to preserve or not to injure; as a tenderness of reputation. 6. Softness of expression; pathos. Now I give you the Webster’s Dictionary definition for tenderness of today. Note the subtle shift in meaning and use. A dictionary definition is based on how people in society are currently using the word. The dictionary doesn’t define the words we use, we do. The dictionary just records the way we use it in our writing. delicate or soft in quality:tender blue. delicate, soft, or gentle:the tender touch of her hand. easily moved to sympathy or compassion; kind:a tender heart. affectionate or loving; sentimental or amatory:a tender glance. considerate or careful; chary or reluctant (usually followed by of). acutely or painfully sensitive:a tender bruise. easily distressed; readily made uneasy:a tender conscience. yielding readily to force or pressure; easily broken; fragile. The first definition mostly focuses the use of the word around the caring for others in kind and compassionate ways. It focuses on being considerate and careful with the feelings and needs of others. Today’s definitions center around someone with a kind and loving heart, easily hurt or distressed, fragile. I see these two definitions as miles apart, and very indicative of the world in which we live. I confess that this is my take on these two definitions, but if I was to use one word to describe tenderness in both of these time periods, I would use for the current definition the word “fragile.” There is little in all those definitions that doesn’t lend itself to this description. The single word I would use to describe the 1828 definition of tenderness is “consideration.” I will leave it to you to decide what should be the correct definition of the word tenderness. 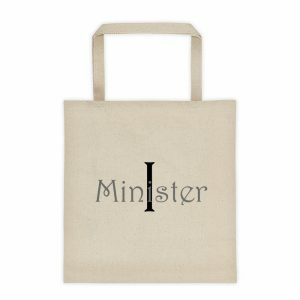 I administer a Facebook group where we talk mainly about ministering to others. For the most part the group members have been compassionate, kind, and respectful of the international nature of our membership. We have had virtually no grammar police patrolling our posts. If they have seen many of our posts they surely would have recognized that many are made by second language speakers, or those who don’t do a lot of professional writing. This forbearance of wanting to correct little points of grammar or spelling has been a true blessing to the group. I suspect that many of the posts may have been submitted after copying and pasting from Google Translate. My concern is when someone posts a generic point, like “we need to care for one another,” others jump in and take exception with such comments because the comments don’t take into account things like our need to be self sufficient, or our personal desires, or when we have to do something on assignment, or when we can’t help because we are working, or whatever. What I am seeing is an unwillingness for any truth to stand on its own merits. It has to be picked apart and dissected so that no leaf or stone is left unturned in finding the ultimate “all-inclusive” definition of the expression. In other words, they want all the fine print associated with an experimental drug included before they are willing to agree that every mutation of the phrase has been accounted for and given its own chance to be heard and considered. This behavior has only recently shown up in our group, but it is indicative of the culture at large in the United States. I’m not the only one seeing this trend. I have been seeing people posting personal videos about this need for some people to correct others, and sometimes in a cruel and heartless manner. When confronted about their methods, they make claims of just being “honest.” When people are hurt, feel threatened, or are tired of other people’s tirades, those who comment about their leaving the group sometimes make offhanded remarks that indicate there is no great loss with these people leaving. ‘We can get along just fine without such thin skinned people.’ These attitudes disturb me greatly. I can’t speak for any country other than the United States, where I live, but we have become a culture addicted to offense and obsessed with personal judgment. Almost nothing can be done or said without someone becoming angry, huffy, hurt, shamed, offended, or resentful because of what you either did, said, or didn’t do or say. Are other countries like this? These people seem to be the poster children for today’s definition of tenderness. They are easily hurt. They are fragile. They don’t care nearly so much for the needs of someone else as they seem to be concerned with what they perceive as their own needs. It is almost as if all of life flows from their own perspective at the time they hear something said or read it in print. Anything that doesn’t match in their life with what they have just encountered must be faulty and flawed, and in desperate need of correction, and they are just the person to do it. From an emotional or spiritual perspective, these people are not safe to be around. In administering our Facebook group I have learned through many frustrating instances that what we think is a cut and dried, easily defensible conclusion about an issue is rarely as cut and dried, or as defensible as we think it is. I would like to give you an example. At one point I decided that we would only discuss one topic in our group – ministering. If the post wasn’t about how to physically help someone with a need then it wasn’t about ministering and shouldn’t be in the group. Boy, was I wrong! My group members quickly demonstrated to me that their concept of ministering was vastly different from my perspective. I would look at a post and tell my wife, “This has absolutely nothing to do with ministering!” But I decided that I should ask them what they were thinking before I deleted the post. Sure enough, almost every time they would respond with a connection to ministering I had never considered before. 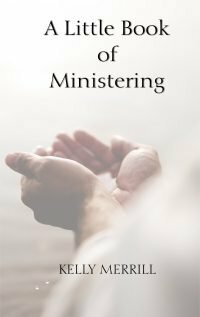 As my perspective and vision of ministering enlarged, we have eventually included Temple work, Missionary work, general service, and gospel study as all parts of the profile of ministering. I still believe that at its core, ministering is about relieving want and needs in the lives of others. It is about calming a troubled soul, quelling someone’s fears, and about demonstrating God’s love in whatever manner the Spirit can help us learn to do. But my mind is being opened to greater possibilities all the time. This makes the decision of what posts don’t belong in the group ever more difficult to determine. Marleen Williams was a Clinical Psychologist and counselor at BYU-Provo. In 2004 she spoke at a devotional. Her topic was entitled, A gospel of Relationships. It is a wonderful talk, and well worth your time to read it in full. I have included six paragraphs from her talk that illustrate some of what I am talking about here with regards to how we look at and treat others. She also gives some great advice on how we should think about and treat others. Relationships form the very basis of the gospel of Jesus Christ. Christ taught that all of the gospel laws hang on our ability to love God and others (Matthew 22: 37–40). All of God’s laws are ultimately laws of love. Every commandment is given out of love for you and concern for your happiness. Every commandment ultimately tests your ability to love Him and your fellowman. Look around you. Notice how much people vary. They vary not only in appearance but also in their personalities, life experiences, mortal challenges, and missions here on earth. When we become aware of those differences we may feel jealous of others. Yet the scriptures teach that there are reasons for our differences. We learn from the scriptures that “all have not every gift given unto them” (D&C 46:11). We are all given weaknesses to teach us humility and compassion (1 Corinthians 1:27, 2 Corinthians 12:10, Ether 12:27). We also are different so that we each might have something to contribute and some way to belong (1 Corinthians 12:14–22, 25, 26). When we learn to love each other and have respect for our different abilities, we prepare ourselves to live in a celestial order. Each person edifies the other, and then the whole can become a Zion society. Have you ever wondered how perfectionism can influence relationships? Perfectionists experience excessive shame in having weaknesses and making mistakes. They believe that they are only of value if they are performing perfectly in all that they do. Perfectionists may also believe that other people must excel and perform in all areas of their lives or they are inadequate and unworthy. Close relationships provide us with a ringside seat to each other’s struggles, sensitivities, and shortcomings. If you demand instant perfection from yourself or others, it becomes difficult to share struggles and disclose your weaknesses for fear of losing the relationship. There is then no way to provide support for each other in overcoming those weaknesses and challenges. Alma taught at the waters of Mormon that one of the first covenants of baptism is to bear one another’s burdens (Mosiah 18:8–10). When you can openly discuss weaknesses and problems without fear of rejection or ridicule, you can create a “safe place” in the relationship. 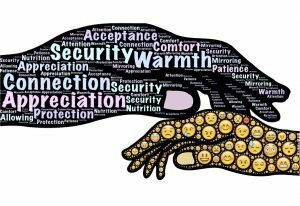 Having the safety to explore problems in an empathic and caring relationship facilitates the kind of self-examination that is necessary for change and growth to take place. When you can let go of perfectionism, it is easier to feel emotionally close to others. Ironically, we often love those people most whose weaknesses and struggles we know. Life has always been hard. And life is going to be more and more difficult until the Savior returns to set everything right. In the meantime we have been tasked with becoming a holier people. We have been instructed to walk the covenant path we have chosen to return to our heavenly home. We can’t do it alone. We need each other. Everyone needs to learn to rely on each other. And we cannot do that if we don’t trust one another. A safe space needs to be created within each of our lives where people can come and feel comfortable. Think of it in terms of a bubble or zone of emotional and spiritual safety that surrounds you, and that offers protection to anyone who comes near you. This safe space means that when someone makes comments we read or hear, or they do something we see, we will not be judgmental of their words, or their actions. Not being judgmental does not mean we accept and embrace everything they do, but it does mean we don’t condemn and berate, criticize and preach. This is the difficulty of setting up a safe space in our lives. We must learn to weigh our words and our responses carefully so as to be loving, accepting, and grateful, without participating in something we feel is wrong. We must, in other words, learn to hate the sin, but still love the sinner with all our hearts. We also need to learn to judge when an issue really is important and when a little incorrectness is not going to damn that person’s soul, so can be tolerated for now. As we enter this new era of ministering, this higher and holier way of behaving toward one another, I hope we will learn how little we actually know about each other, and how inappropriate it is to summarily judge other’s words and actions without coming to weigh our thoughts of condemnation against the need to love and accept. The Spirit can help us in this process. He can, and will, teach us how to be more tenderhearted (considerate) in our attitudes and actions, if we will make this a serious request of the Lord and seek to practice a more godly love toward our fellow travelers in mortality. Why Christ says "Come, Follow Me." 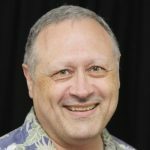 Ministering: Are We Throwing the Baby Out with the Bath Water?